Approaching Warburg from the south and crossing the river Diemel, the town shows itself at its best. 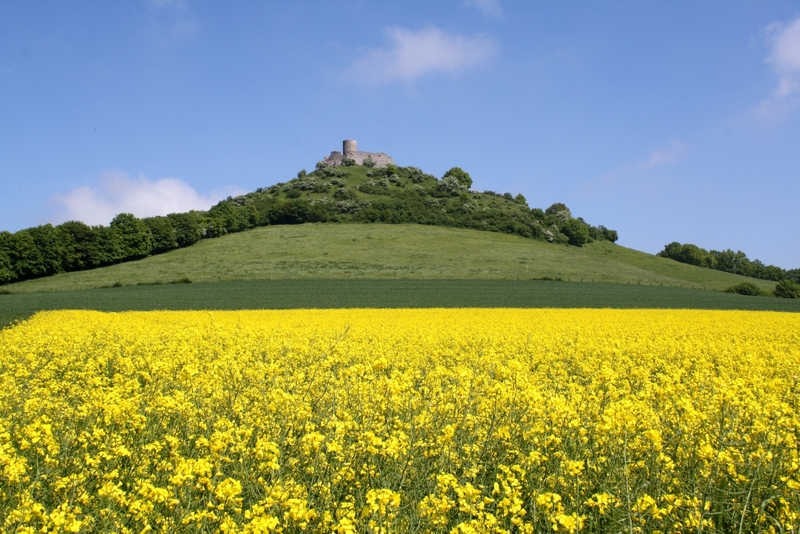 This picturesque panoramic view of Warburg is unanimously known as one of the nicest views in Westphalia. 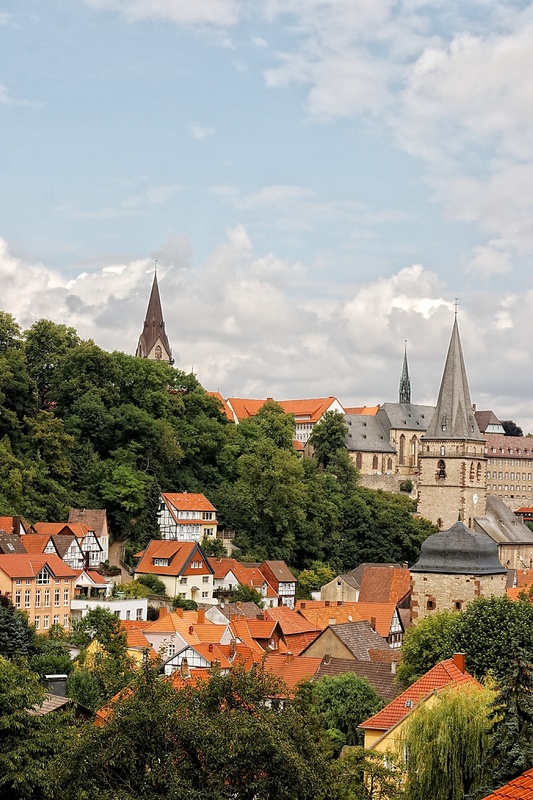 Strolling along the atmospheric cobbled streets of Warburg, visitors can relish the sight of many wonderful historic and mostly half-timbered, splendidly adorned buildings, still testifying to the town’s former well-being. Explore Warburg, a hanseatic city with a history of nearly thousand years. The City has been able to keep its medieval character. 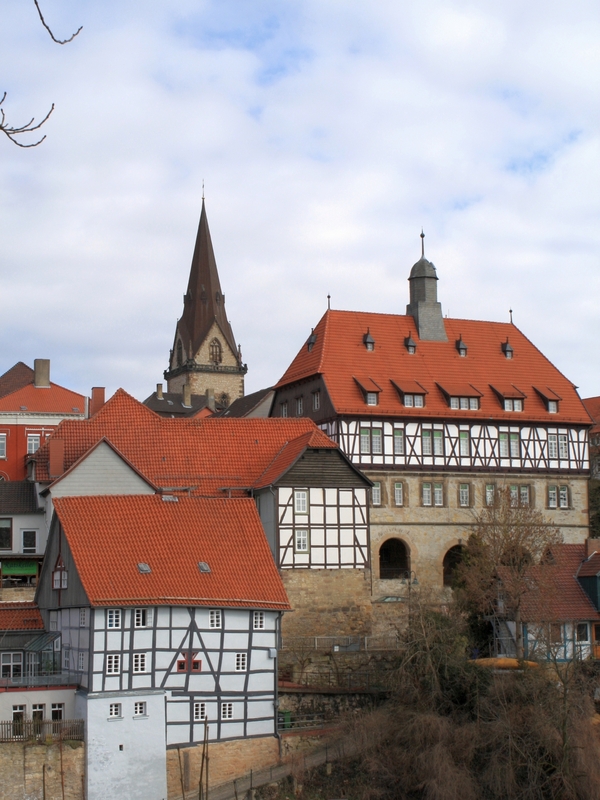 Half-timbered houses and an old city wall with several watch towers can be seen in Warburg. From the river Diemel valley the visitor has a lovely view of Warburgs scenery, called Südansicht. 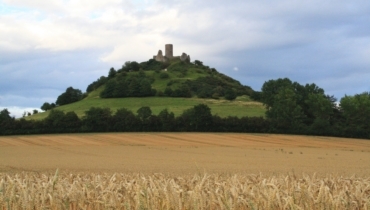 The most famous landsmark of Warburg area is the Desenberg hill, a former volcano with a castle ruin on top. From here you have an impressive pamorama view. With large parts of the fortification wall, five defence towers and two town gates, still preserved from the 13th century and characterizing the historic picture of the town, visitors can imagine themselves transported back in time. 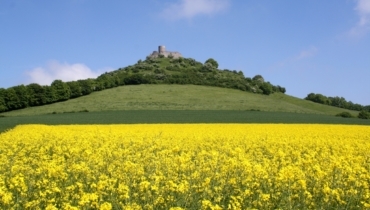 However, Warburg is not only a town with many historic attractions but equally attracts visitors with plenty of restaurants and cafes, inviting to relax. It boasts a rich and intriguing history which can easily be discovered as you explore the town. 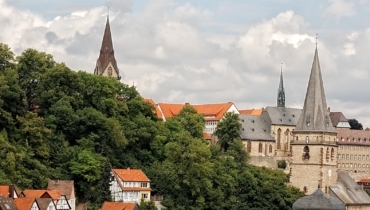 Having been documented in 1010 for the first time, the Old Town grew along the Diemel valley at the foot of the “Wartberg” with its former castle on the top. Further uphill on the mountain ridge adjacent to the Wartberg, the development of a new, independent settlement was undertaken soon afterwards. 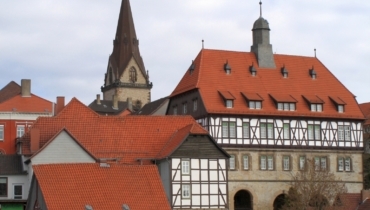 Both cities used to be independent and were protected by Paderborn’s bishops. Today, however, the cities are joined and only a pathway, called “between-the-towns”, serves as a distant remainder of what has once been torn. In 1364, Warburg experienced its economic heyday in joining the hanseatic association. In 1436, a joined administration was settled on in the “Groten breff”. 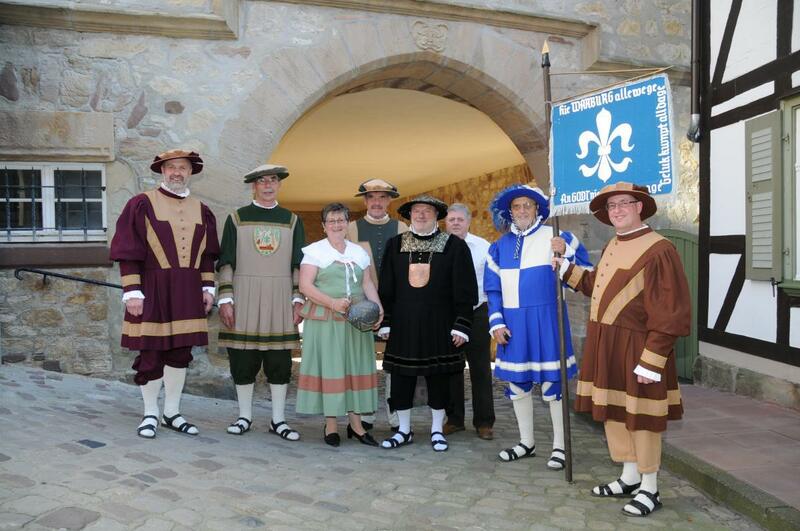 Interested visitors can get a fascinating overview over the town’s history in the museum “Im Stern”. 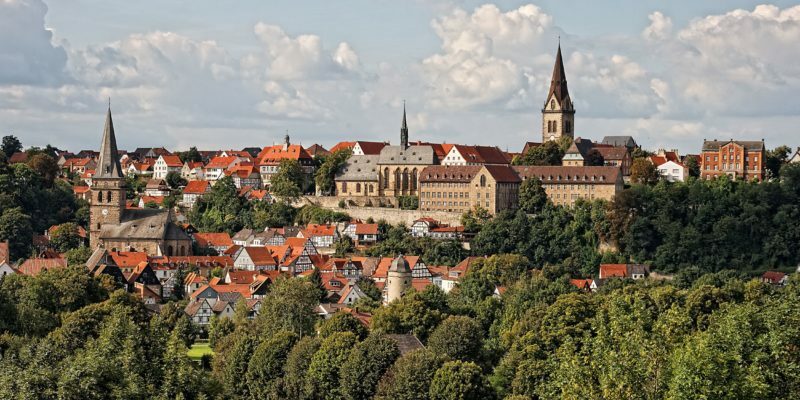 However, not only does Warburg serve many cultural events, a gripping history and lovely historical buildings but is also known across borders as a modern town with charming pedestrian shopping areas, pretty boutiques, attractive retail trade, and rich cultural and recreational activities. Warburg has the privilege of being located in the triangle of the federal states North Rhine-Westphalia, Hessen and Lower Saxony. It is made up of the main town and 15 villages, scattered across 168km² of the gorgeous “Bördeland”, with a total of 25.000 inhabitants. 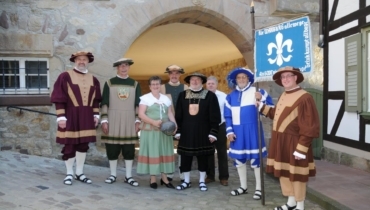 Visitors find themselves presented with partially very well-preserved fortifications and fondly restored half-timbered houses (of course meeting the requirements of the protection of historical monuments). Impressive churches, houses and fortifications from the hanseatic heyday point towards the town’s former well-being and the inhabitant’s taste of art. Nowadays, the economic rise is, among other things, due to fabulous transport links via motorway, four highways, a train station and three regional airports close by. A cycleway stretching over 110 km through the picturesque Diemel valley from Usseln in the “Sauerland” to Karlshafen near the Weser river grants its users a wonderful half-time break in Warburg. But not only does Warburg care for its cyclers: In 2005, a new Nordic-Walking-park was constructed, leading walkers along the Diemel, through woods and the scenic meadows, typical of the area. Likewise, swimmers can find their fulfilment in Warburg’s outdoor swimming pool, surrounded by woods, inviting visitors to escape everyday life and relax. During winter season, the indoor swimming pool serves the same purposes – only without trees. Besides cycling, walking, and swimming there are several other sport facilities and opportunities, such as hiking, horse-riding, running, skating, and gliding – only to mention a few. Aside from sports, Warburg provides cultural activities and events throughout the whole year. Especially noteworthy are the “Meisterkonzerte”, concerts which engage professional and - more often than not - famous musicians, performing for an enthusiastic audience. Theatre performances range from highbrow drama to folk plays on fairs and cover every taste and age. Furthermore, the museum “Im Stern” provides a charming inside in the local history and exhibits pieces by the very talented local artists. Millions of years ago, an impressive mountain was formed through volcanism. In the Middle Ages, a castle was built on its top and inhabited by the „von Spiegels“. In the course of history, the „Desenberg“ has evolved as Warburg's landmark and nowadays serves as a popular destination. The surrounding area has been declared a nature reserve because of its remarkable flora and fauna. Additionally, the mystifying appearance of the „Desenberg“ attracts numerous artists and it has featured in many works. A historic hanseatic town enclosed by a big town wall – sounds boring? On the contrary! Feel inspired by Warburg's varied events, ranging from heroic medieval battles and mysterious magic on the Middle Ages Fair over customs and regional history on the „Kälkenfest“ to fun and entertainment on Warburg's „Oktoberfest“, the region's biggest fair in October. Education is highly valued in Warburg. The town is equipped with two „Gymnasien“ (upper secondary schools), one „Realschule“ (secondary school), one „Hauptschule“ (secondary school), four primary schools and one school for children with learning difficulties. Aside from that, there is a vocational school, offering different school leavings, a school for children with behavioural problems („ Petrus-Damian-Heim mit Schule“), a remedial therapy centre („St. Laurentius-Warburg“), a technical college for social education and an adult education centre in Hardehausen. In 2009, Warburg became a university site, belonging to the university „Ostwestfalen-Lippe“, featuring engineering subject areas such as machine construction, electrical engineering, technical computer science, and production engineering. On the occasion of the 1000th anniversary of Warburg, the town looks forward to hosting the 56th international hanseatic days in 2036. With the regional airports Paderborn-Lippstadt and Kassel-Calden are two dynamically growing airports directly in front of the gates of the town. Motorway A 44, highways B 7, 68, 241 and 252. Warburg is connected by train with the "intercity net"